things to hold and stir: Say What? 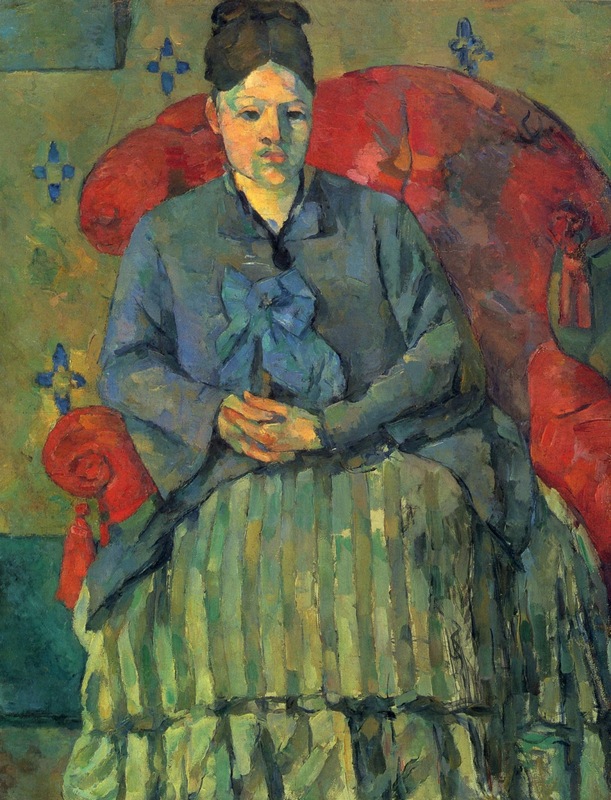 Cézanne. You're going to get that on the walk home. Say What? 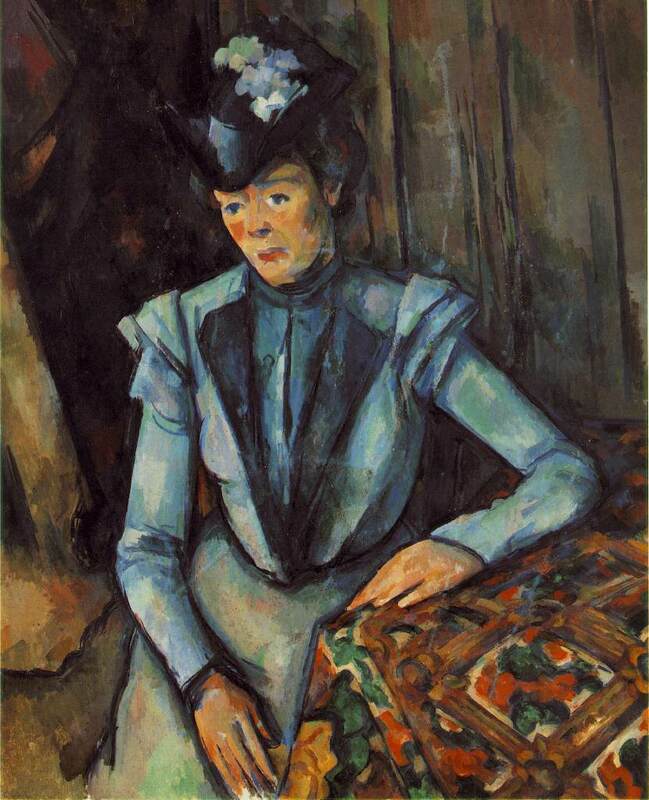 Cézanne. You're going to get that on the walk home. I know that this post is about fashion, but when I was at the Hermitage last summer and saw that Cezanne I started hysterically laughing. Like, the uncontrollable fit that only happens in the most inappropriate place at the most inane time, like on a tour of the Hermitage with my boyfriend and a couple from Australia. Woman Seated in Blue is clearly Maggie Smith. No? This is such a cool idea! 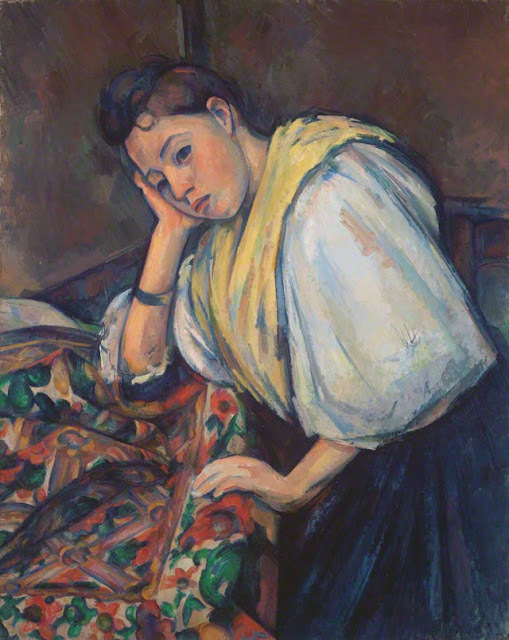 Love Cezanne! 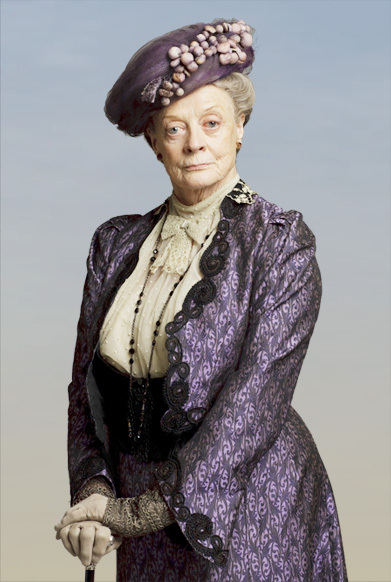 It's totally Maggie Smith! I actually like every single piece you chose for the Young Italian Girl recreations, great inspiration! 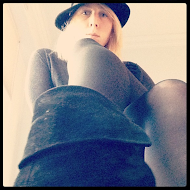 And your Polyvore title cracked me up! I love this idea! great outfits--art inspiring style, i like it! What a clever idea! Love the execution of this.